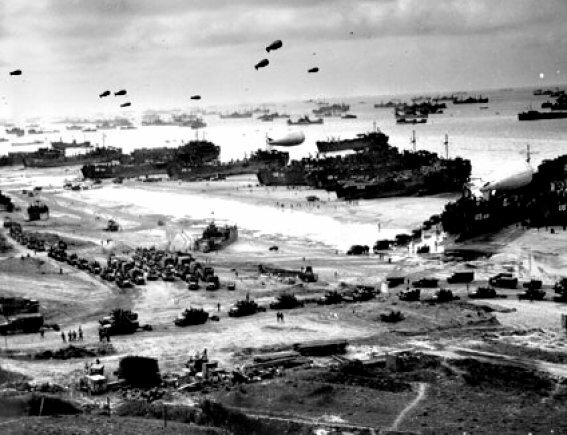 Did you know that balloons were a crucial part of the Allies’ D-Day strategy? 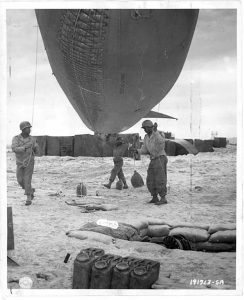 The 320th Very Low Altitude (VLA) barrage balloon battalion was responsible for deploying the blimps on Utah and Omaha Beaches. 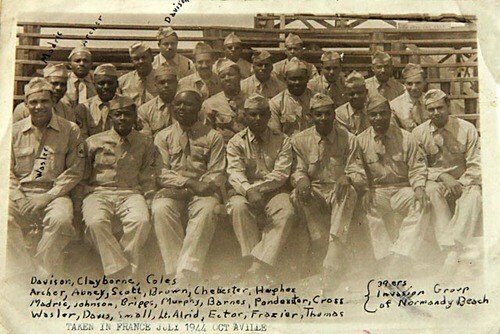 It was the only African-American balloon battalion that took part in the D-Day landings. The 320th worked ingeniously in the heat of battle, inventing lighter, alternative equipment that reduced the number of men required to operate each balloon. Barrage balloons were a deterrent against enemy planes. Tethered to the ground with metal cables, they prevented planes from flying too low for fear of either having their wings cut off or being blown up, since some balloons had explosives attached to their wires. Now forced to fly higher, enemy planes lost the ability to accurately hit ground targets. After the war, General Eisenhower commended their service, and one African-American soldier was considered for the Medal of Honor… but he never received it. 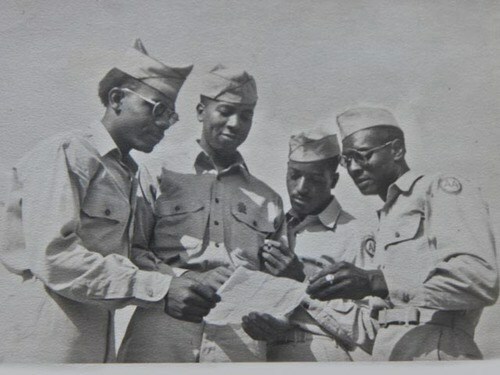 Despite their courage and ingenuity, the story of these men has been largely lost to history. For that we are sorry. Many of the members of the 320th recall the difficulty of fighting for a country—and for direct superiors—who discriminated against them based on race, but they also reflect on the British and French people’s pure gratitude for their service in liberating their part of the world. Rebekah is a life-long Pacific Northwest inhabitant with a penchant for books, dogs, and travel. 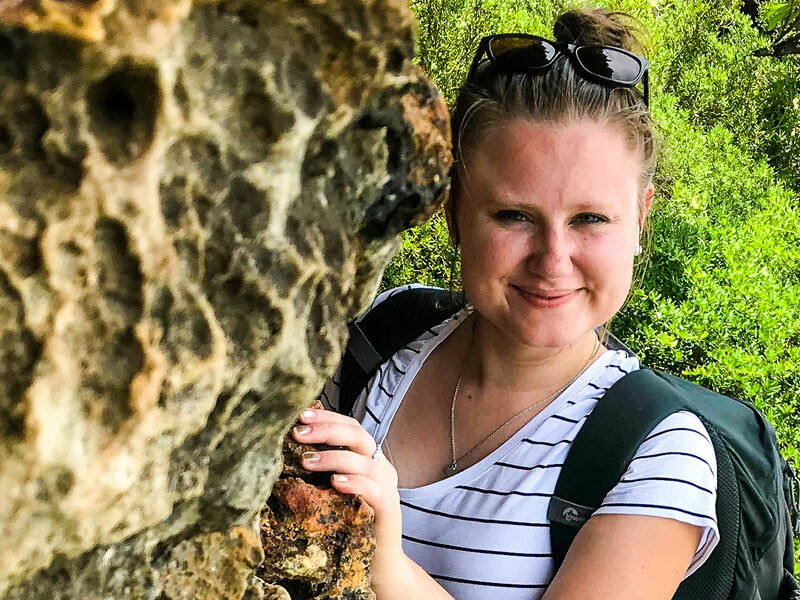 She exercises her love of storytelling as a social media and content marketing specialist, helping nonprofits and small businesses find their voice in a frenzied world. 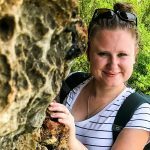 She’s committed to a life and career of learning, listening, and leaning into adventure.